The short session closed on March 3, 1853 and with it the 32nd Congress ended. 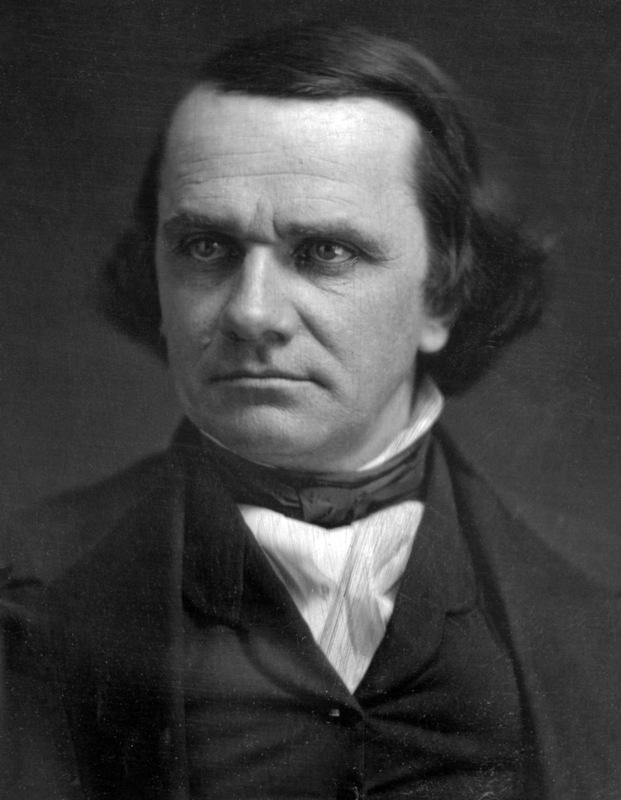 That brought an end to Stephen Douglas’ latest attempt to organize the territory west of Missouri and Iowa, but for whatever reasons and whatever his constitutional scruples, one of Douglas’ most persistent Southern foes gave way. David Rice Atchison, proslavery firebrand, switched to Douglas’ side. Bills to organize the Indian country as Nebraska Territory passed the House before so the Little Giant had good reason to think they would again in the 33rd Congress come December. The Senators from Texas opposed the bill only in terms of timing and disposing properly of Indian title to the land first. Even in the rush at the end of the 32nd Congress, Douglas only lost 23-17. If Douglas could get Sam Houston and Thomas Jefferson Rusk, both returning for the new Congress, to join the yeas he would have 21-19. The focus on extinguishing Indian title to the land and resigned acquiescence to the Missouri Compromise’s ban on slavery augured no proslavery firestorm. The Armistice held. treaties were shortly concluded with the main tribes north of Kansas River (the Otoe, Iowa, Kickapoo, Delaware, and others), under which about 11,500,000 acres were ceded to the United States; most of this land being unconditionally transferred and therefore subject to preemption, but 634,500 acres being given up on condition that the government pay the proceeds of sales to the tribes. Treaties were also presently written with tribes south of the Kansas ceding slightly more than 2,000,000 acres, all but a bout 208,000 acres of which were subject to preemption. It remained only for the Senate to ratify these treaties, and for the Indian Office to take steps to have reservations and selections of land made for the Indian. The Indians would have a place to go, so they would not be thrown on the Texas hinterlands to menace white Texans. That ought to please Thomas Rusk and salve Sam Houston’s conscience. 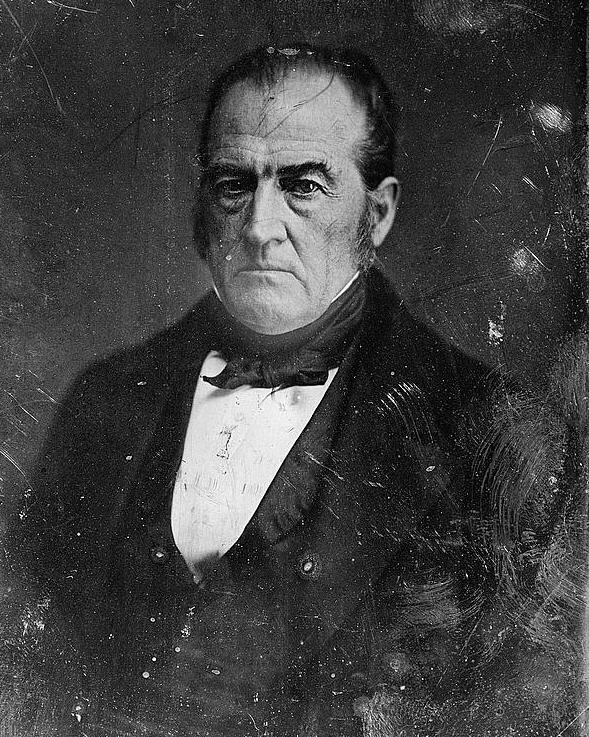 It would also give Tennessee’s John Bell something to think about, as he opposed the bill out of concern about Indian claims and on the grounds that ample land remained unsettled in existing territories. With all of that, why did the nation even need to organize the territory just then? Come winter, Bell had the harder task of standing up to suggest taking from white America lands the Indians agreed to give up. Put in that position, with a fait accompli before him, would Bell decide to stand against everything nineteenth century white America called progress? His state lay close enough that some of its citizens would probably move into the open lands given the chance, and in the March debate he said that expected they would. If Bell joined Atchison and the Texans, Douglas had three new votes in his column and the whip count went 20-19. Surely a skilled, influential senator like Stephen Douglas could scare up two more votes. The yea vote would cost them little and they could tell angry proslavery constituents that the ironclad Missouri Compromise bound their hands, just as Bourbon Dave could. As the summer of 1853 rolled on, it looked more and more like David Rice Atchison had it right: white settlement of Nebraska would happen soon whatever Congress did, so better vote through territorial organization now. The inevitable had come. This entry was posted in Kansas-Nebraska Act, Road to War and tagged David Rice Atchison, Franklin Pierce, John Bell, Manifest Destiny, Missouri, Slavery, Stephen Douglas, Texas, The South, Thomas Hart Benton, transcontinental railroad.